Completed 1961 as Serenia for STUK. 1975-1977 laid-up Brunei Bay. 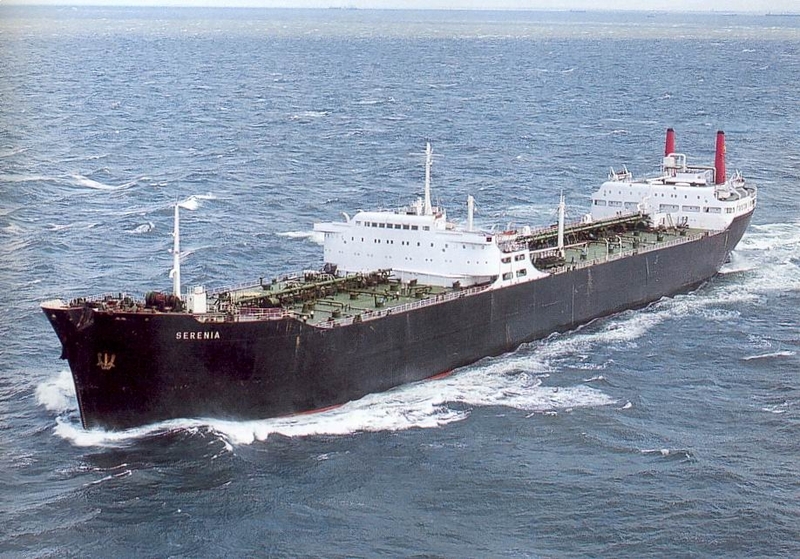 1977 converted to North Sea shuttle tanker by Verolme Rotterdam. 4-9-1987 arrived Kaohsiung for scrap. 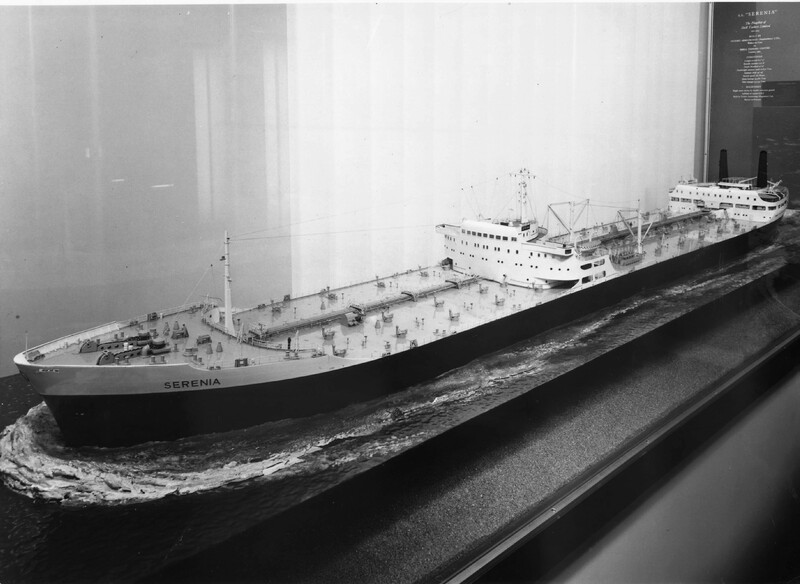 Serenia wasn't built at Vickers in Barrow. 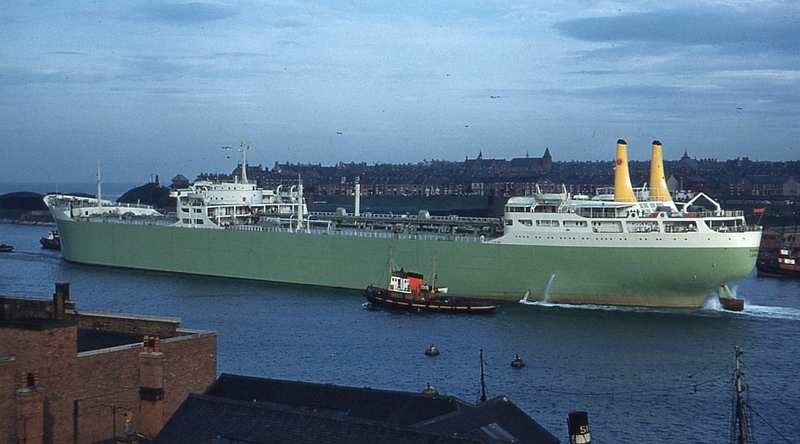 She was built on the river Tyne at Vickers-Armstrongs (Shipbuilders) Ltd, High Walker.. I was one of the crew that took an active part on the rescue of the crew of the Dutch Shell Tanker Marpesa which sunk of the coast of West Africa. I stood there outside my house on the sea front (The Wharf Jamestown), peering out to sea, there on the horizon was faint out line of a ship - first thoughts a tanker, however it took ages to come into view and when it did it just keep heading in which gives of no clues on how long this vessel really is. Then! There were two long loud blast of the ships whistle! I came running out of the house and there she was in all its glory - Full length across the harbour she was so close it is almost like you could reached out and touch it ? she was a very large Tanker, it was a pretty sight, I haven?t seen a vessel that close. She sails on by around passed west rocks down toward Lemon Valley and out of sight. When I joined, the ship was about to go into the RN dock at Sembawang for emergency replacement stern seal. Captain Nettleship was Master. I worked with Captain Bramley, who was resident Master on the Serenia. As the Serenia operated mainly on the coast, Captain Bramley fondly called deep-sea mariners "Deep-sea Baboons". A few Officer (including the C/0, bought a few fluffy toy monkeys, and as there was some faintr resemblance between the Captain and the monkeys, we matched the likeness even more, by cutting out 'spectacles' from old chartpaper, colouring the specs black, and fitted them on all the monkeys. Not sure if Captain Bramley was amused when he did his rounds to the cabins. Have you sailed on Serenia? Log in and add yourself as a sailor to the Serenia! Log in and add your personal story to the Serenia!